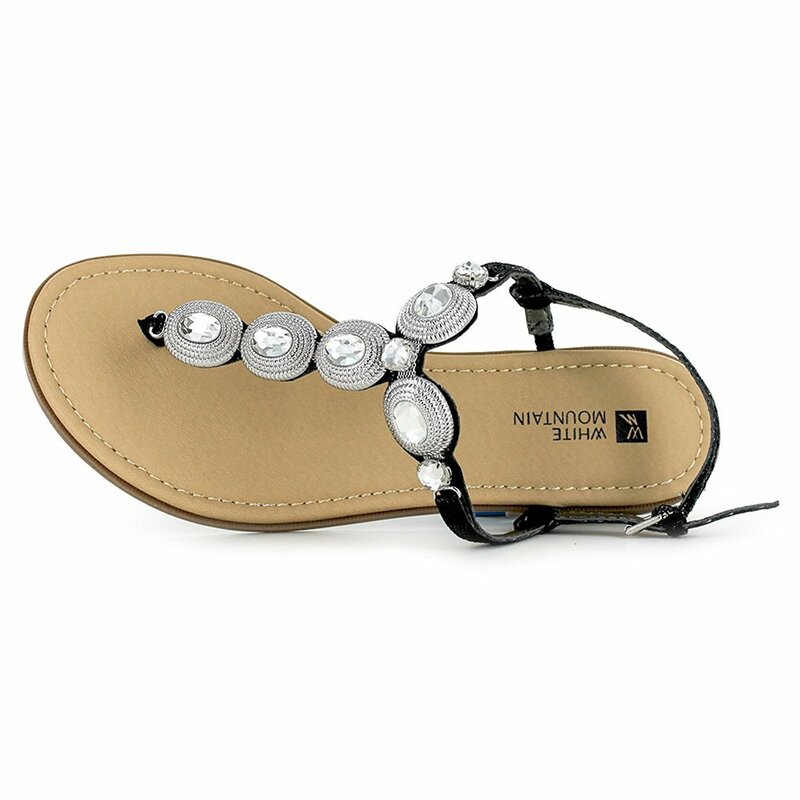 Dazzle in shine in our stunning ornamental sandal. Since 1979, White Mountain footwear has been the epitome of comfort, quality, and fashionable shoes. White Mountain footwear will compliment your casual looks with a variety of shoes styles such as canvas wedge espadrilles to wear with your flirty summer skirts, leather gladiator sandals, cute ballerina shoes, canvas and leather thong sandals, leather oxfords and suede boots. White Mountain footwear has a full collection of shoes to choose from and you can shop them all here. At our storewe have a wide variety of White Mountain shoes such as mid-calf winter boots, trendy leather and suede ankle booties for every occasion, leather combat boots, heeled boots, suede boots in neutral colors, dress pumps and sandals. Here you mayshop White Mountain footwear in a full range of sizes, colors, prints, textures and styles. / Buy with confidence! White Mountain Womens footwear would make a great addition to your shoe collection!